Days after arriving in Kandahar, the Harriers of 800 Naval Air Squadron were in the thick of fierce fighting. Armed with rockets and bombs, the pilots were flying crucial danger-close attack missions in defence of troops engaged in the most intense battles seen by British forces since the Korean War. While facing the constant threat of surface-to-air missiles, the British Top Guns knew that any mistake would have fatal consequences for the soldiers who depended on their skill and determination. 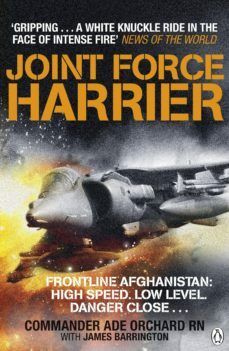 Written by the Commanding Officer of the first Royal Navy squadron to deploy to Afghanistan, Joint Force Harrier is a compelling insight into the exciting world of modern air warfare.